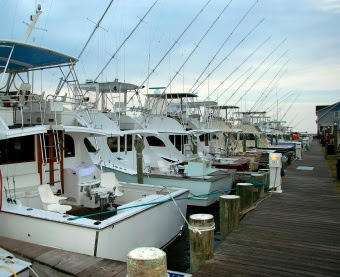 Finding the right Florida marina business for sale does not need to be a difficult task. Florida with its vast coast line has an abundance of marina related opportunities available. There are however, several key factors a buyer will want to consider before buying a Marina business for sale in Florida. As in most business and real estate transactions buying a Florida marina business for sale can often be all about location, location, location. Buyers of Florida marina business for sale will want to consider the many different locations for Florida marinas. Coastal areas can vary drastically from commercial fishing locations to beaches locations, some of which rely on a heavy flow of tourist traffic. Rivers, lakes and inter coastal waterways are home to many of the Marinas for sale in Florida. There is really no shortage of locations for marinas in Florida and the diversification runs from the heavily populated areas to some of the more remote or even a few island locations. Location diversity is not the only differences for Florida marina business for sale. Marina size can vary greatly depending on the type and location of the marina. For many marinas for sale in Florida the real estate is included in the price of the marina, and others the land is strictly rented or leased. This could drastically affect the price of any Florida marina business for sale, since the ownership of waterfront property in Florida tends to hold value extremely well. The amount of dock space, number of buildings and amenities will also vary depending on the marina. When it comes to the services of a Florida marine business for sale there can be big differences in the services offered and how revenue is generated. Revenue streams for a Florida marina business for sale can come from many different sources and are limited only by the owner’s imagination. Typical services for a Florida marina for sale may include dockage or boat storage. Services are offered on a monthly fee basis or sometime maybe purchased outright. Boat rental, fishing charters, bait and tackle shops, marine repair, fuel, boat brokerage and other boat related services can usually be found as well. Larger Florida marina business of sale will often have restaurants, lodging, retail shops, delis, convenience stores, liquor stores and any other number of services. Services offered by Florida marina business for sale can be almost more diverse than the size and type of location. The diversity of Florida marina business for sale can often impact the profitability. Marinas of varying sizes and location often reach a unique market that need servicing and the services offered by any given marina business for sale in Florida can often impact the bottom line. Having a marine with a number of different revenue streams can sometimes create a more consistent cash flow. If you are looking for a marina business for sale in Florida or would like an opportunity to own a complete event center with restaurant, marina, c store, deli, liquor store, complete with real estate in one of South Florida’s most highly regarded fishing destination locations, you will want to contact the Florida Business Brokers at Truforte Business Group for your marina for sale in Florida.